It used to be really rare for a Korean brand to release a matte-finish foundation. However since this year's summer was real hot, it's even said to be the hottest in the last 100 years, brands are releasing matte-finish foundation with a long-lasting formula to withstand the extra heat and sweats. Smooth and silky texture as if it were one with the skin for sebum control and pore cover. Combining PRIME PRIMER's incredible acne-scar care effect with foundation for smooth texture without tight feeling to smoothen skin flaws and fine lines. Dry-Fit technology helps resist sweat and excess sebum for a long-lasting smooth and matte skin. The primer texture that blocks sebum, blocks excess sebum over time and while doing touch-ups, removes unnecessary sebum to keep the skin smooth and matte. 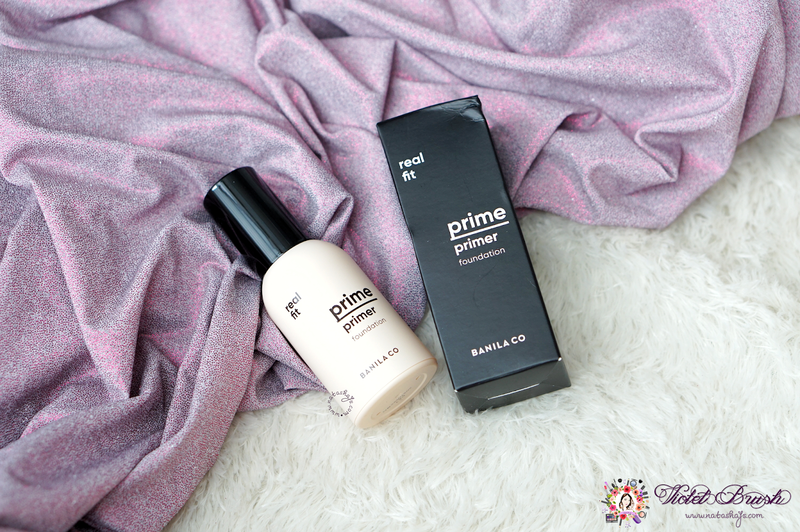 The Prime Primer series from Banila Co's packaging is dominated by black and white colors. 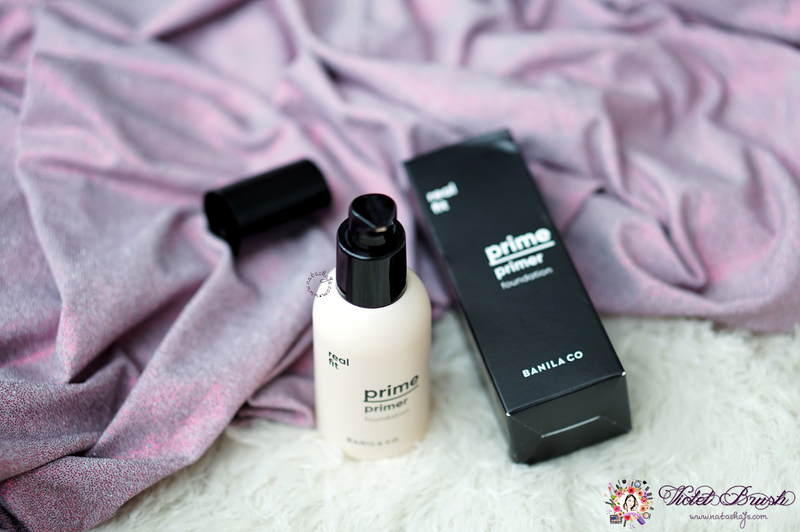 And likewise, Banila Co's Prime Primer Fitting Foundation also comes in black and white outer packaging, while the bottle itself is a combination of black cap and doff-opaque beige-colored pump bottle. The plastic bottle is lightweight and not too big, making it travel-friendly. I would love the packaging more if they made the body transparent, though. I actually received this foundation from Banila's team for review purpose and I got the shade BP15. Well, during the winter it might match my skin tone well but since I got a little bit tanned due to Korea's hot summer, BP15 is too light for my current skin tone. They actually has 4 shades, BE10, BP15 (pink undertone), BE15 (yellow undertone), and BE20. I think BE15 or BE20 will match my skin tone better, anyway. The texture is moderate on the skin, not that lightweight but not that heavy. I don't know if it's my D**so blender sponge or it's this foundation or perhaps it's the shade, nonetheless, it doesn't blend that easily. Once blended, Banila Co's Prime Primer Fitting Foundation does evens out my uneven skin tone although foundations with pink undertone and shade that is too light for my skin finish off a little bit grayish most of the time. It has a pretty good coverage, by the way, I would say medium coverage. However, it finishes off matte, like real matte unlike most of other Korean brands' "matte" foundations. I don't even need to set and mattify it again with powder. What disappoints me is that Banila Co's Prime Primer Fitting Foundation sinks into my pores, but only on my nose area. Isn't that strange? I wonder if it's because my nose area is currently super dry because of the flu I caught. Maybe I should try again using primer beforehand. 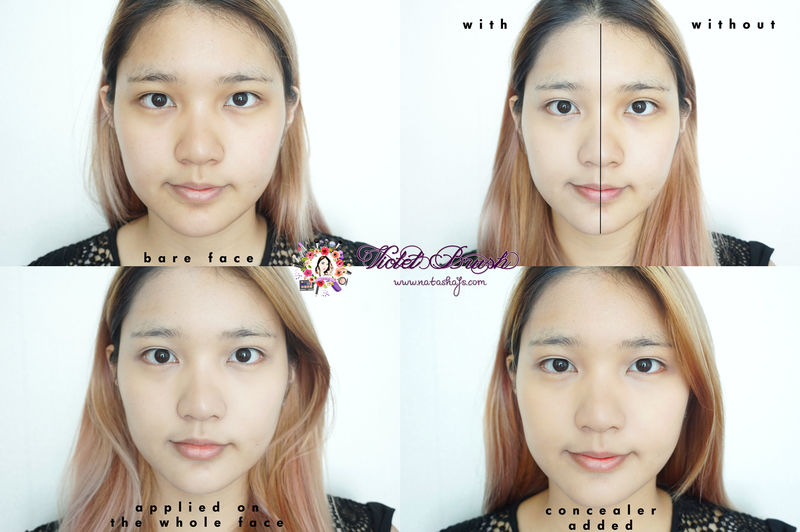 The photo above was taken 7 hours after first application without any touch-ups. You can see the foundation was gone on the outer part of my forehead and somehow partly gone on my nose. It also cracked on my chin and lower cheek area, I think my skin got too dry. On the good side, Banila Co's Prime Primer Fitting Foundation doesn't oxidize that much. My verdict is, since Banila Co's Prime Primer Fitting Foundation is formulated to withstand the heat of summer, it doesn't suit my dry skin that well. I tried setting powder on top of the foundation once and it resulted in more terrible crack and my skin looked soooo cakey. 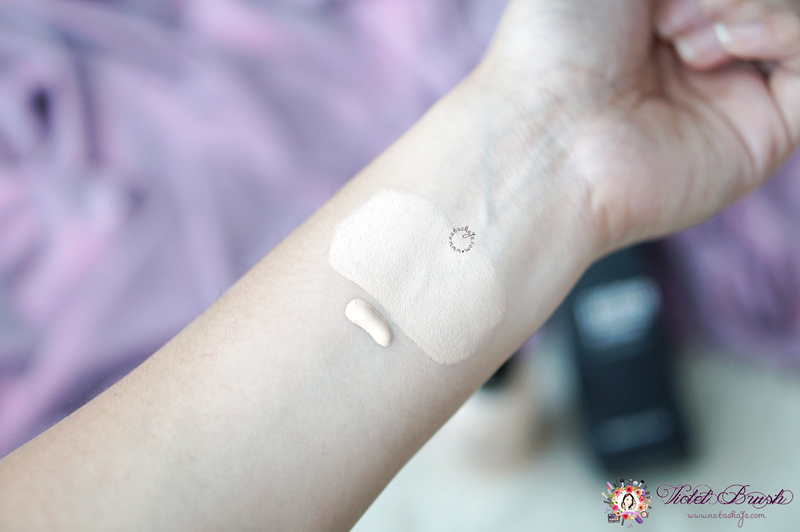 In my opinion, this foundation is more suitable for those with oily skin type. 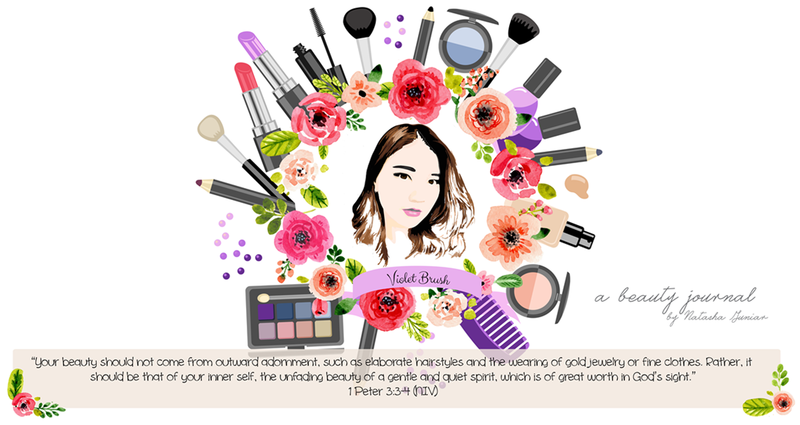 Saya pernah pakai produk yang matte gini punya Oriflame. Wah bisa ngecrack di smile line ya kl too dry gitu. Aku sih Combination-oily, mngkin bisa lbh cocok di aku. Utk complexion produk korea, aku jrng bgt nyoba, hrs liat range warnanya dulu.